This is the first study to show how the Royal Navy’s ideas about the meaning and application of seapower shaped its policies in the interwar period. Drawing on a wide range of unpublished sources, the author challenges the accepted view that the intellectual shortcomings of Britain’s naval leaders resulted in poor strategic planning and an inability to meet the challenges of the Second World War. This book provides the first comprehensive survey of the navy’s strategies for dealing with possible wars with Nazi Germany, Fascist Italy, Imperial Japan, and even the United States. It argues that the “Singapore Strategy” has been widely misunderstood, that there was in fact more than one strategy developed for war with Japan, that the navy’s war plans placed greater emphasis on maritime economic pressure than decisive sea battles, and that the influence of Alfred Thayer Mahan on the interwar navy has been greatly exaggerated. The author also reveals how the “One Power Standard” did not fundamentally affect the outcome of the navy’s ongoing struggle with the Treasury for funds, how the service’s interest in “showing the flag” abroad was linked to its concerns over the health of the naval armaments industry at home, and how the navy reluctantly employed propaganda between the wars to revive its popularity with the British public. The book argues that naval leaders possessed a more sophisticated and flexible understanding of the strengths and limitations of sea power than previous studies have recognized, and that Britain’s strategic position during the 1930s would have been stronger if their advice had been followed. The author concludes that the navy’s efforts to shape British grand strategy were largely unsuccessful, however, because civilian decision-makers often had different views about the role of sea power in the modern world. To appreciate fully the quality and sophistication of Bell's analysis, one must read the book for oneself. . . . It is clearly written, and even those who are primarily intersted in the U.S. Navy will find it accessible and useful for comparison with the American experience during this era. 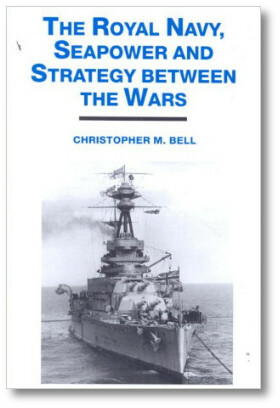 Those interested in the Royal Navy will find Bell's study indispensable. 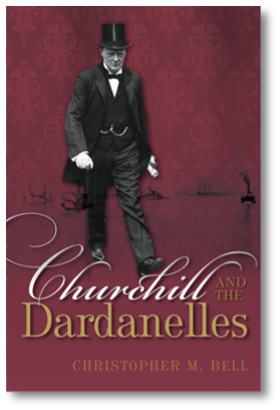 This is a hard-hitting and welcome book about British naval policy in the interwar period …. This is a scholarly work, important in the field. It points the way for further inquiries, particularly as it takes inter-war naval matters out of the hands of general writers who have too long taken up the anti-appeasement line without full knowledge about the Admiralty’s resistance to it.